When a baby is born, from friends to family everyone brings a common gift – baby products. These include a set of body wash, oil, lotion etc. which the little one would hardly use and the mommy dearest can surely incorporate those into her beauty routine. Also, baby products are made with least chemicals and are tremendously gentle on the skin which is perfect for the new mother whose skin would be super sensitive post pregnancy. The best thing about the baby products is how dreamy they smell! Therefore, here's the list of products you can easily borrow from your baby's kitty and effectively use on your own. This is a miracle product, trust me. In fact, truth be told, you will use it more than your baby will! Firstly, baby powder is an excellent setting powder or baking (highlighting) power. These are fine milled and are an absolute delight to work with. You can dab some on top of a pigmented lip color to make it look matte, sprinkle some on the eyelashes and then swipe the mascara brush to add volume. You can also use it to remove shine from the face as it won't clog the pores at all. So, it is indeed a multipurpose one. Baby shampoos are mostly made of the 'no-more-tears' formula which means it won't make the eyes sting like hell. These are also extremely soft, gentle and free of most of the harsh chemicals like paraben, SLS, etc. Use baby shampoo for your hair when you have no time for conditioner and want to wrap it up with a single wash just to clean up the scalp and make the hair look fresh. Baby shampoo can also be used for washing the makeup brushes as it won't make the bristles hard and frizzy. Baby lotions can also be used in various ways. Firstly, mix the lotion with your liquid foundation in a 1:3 ratio of lotion and foundation. Apply this on the face as a tinted moisturizer where the foundation won't look too made up because it is lightened. You can also use this as a light makeup remover at the end of the day. Massage a considerable amount onto the skin in circular motions for about 1-2 minutes and wash off with a face wash and see how clean it looks. And lastly, you can surely use this as your own body lotion. Baby soap is an excellent substitute for face wash or soap bar for the skin. The soap bars are devoid of extreme chemicals and harshness that would make your skin look dull, lifeless and dry. Instead, you will see how effective and soft the skin looks when you wash with the baby soap. Generally, it is hydrated with vitamins and other ingredients that make the skin soft and supple to the touch. It also works well with sensitive skin and won't irritate at all. Baby wipes also have beauty benefits to the mommies. 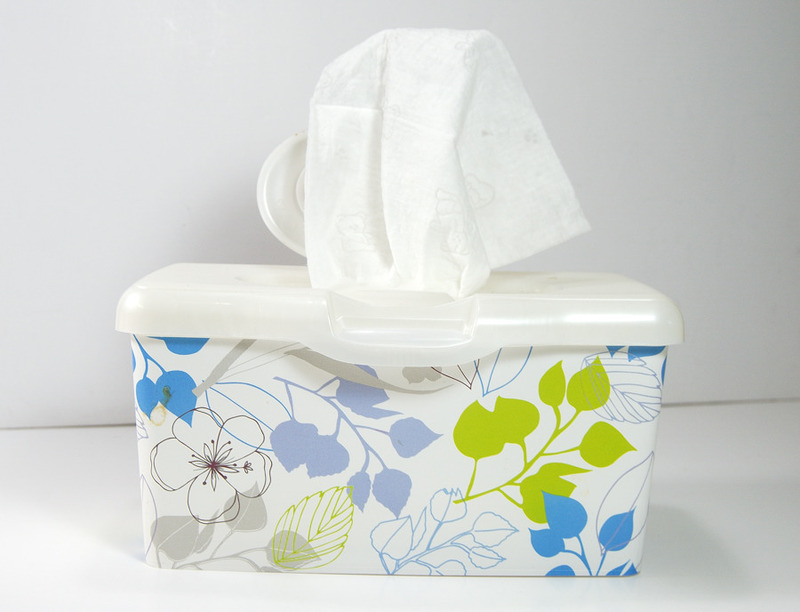 You can use the wipes to wipe the face and take off all the layers of oil and dirt from the skin while traveling. It will give a refreshing touch to the skin. You can also use it to take off all the makeup at the end of the day. For deep cleaning, massage cleansing milk or oil onto the skin for about 1-2 minutes and use the wipes to take off every layer of makeup. It will not only cleanse the skin but also makes it soft. Baby oil has a variety of uses for beauty purposes. Firstly, you can use it as a light facial oil for dry skin and hands. Secondly, it is a great makeup remover, especially eyes. Just add few drops of baby oil onto a damp wipe or cotton and keep on the area for about 30 seconds to soak up the product. Then use a light pressure and wipe off. You will see that even the stubborn waterproof makeup is easily removed. Baby oil can also be used as a shaving medium which will help the razor glide smoothly for trimming the hair and also moisturizes the skin at the same time. 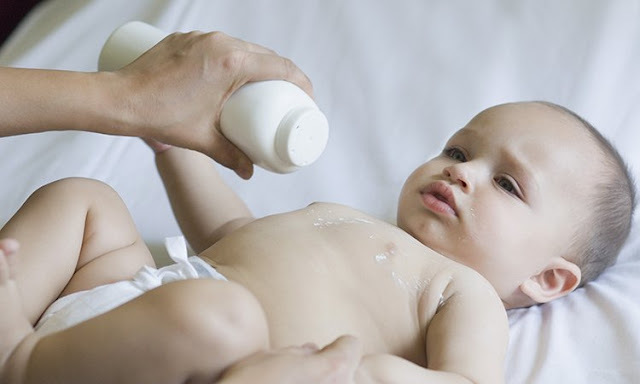 The body washes for babies are the ideal choice for winter. It will wash off dirt and sweat from the body and will also keep the skin gentle and soft. There are no chemicals involved that will make the skin dry and thus you can happily use this as a body wash. Moreover, they smell heavenly and last long. Also, you can use the body wash to clean the brushes which you want to keep soft and healthy for long. 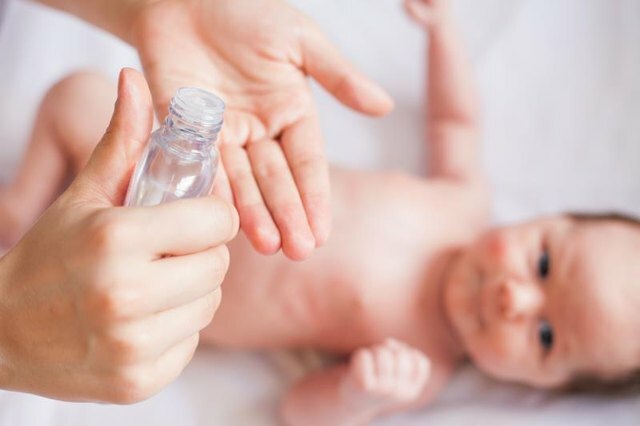 Baby creams are also non-comedogenic. You can use this instead of a regular moisturizer at bedtime or during winter and it will lock-in the moisture for the skin without clogging pores or breaking out. Use a dollop of baby cream after shaving and the skin will remain smooth and healthy. It also serves as a great cuticle cream for elbows and knees. Further, you can also use it as a hand cream as well for the sweet smell and hydrating factor.